Like I said in my blogiversary post yesterday, one of my favorite parts of blogging has been all the people I've been able to meet. 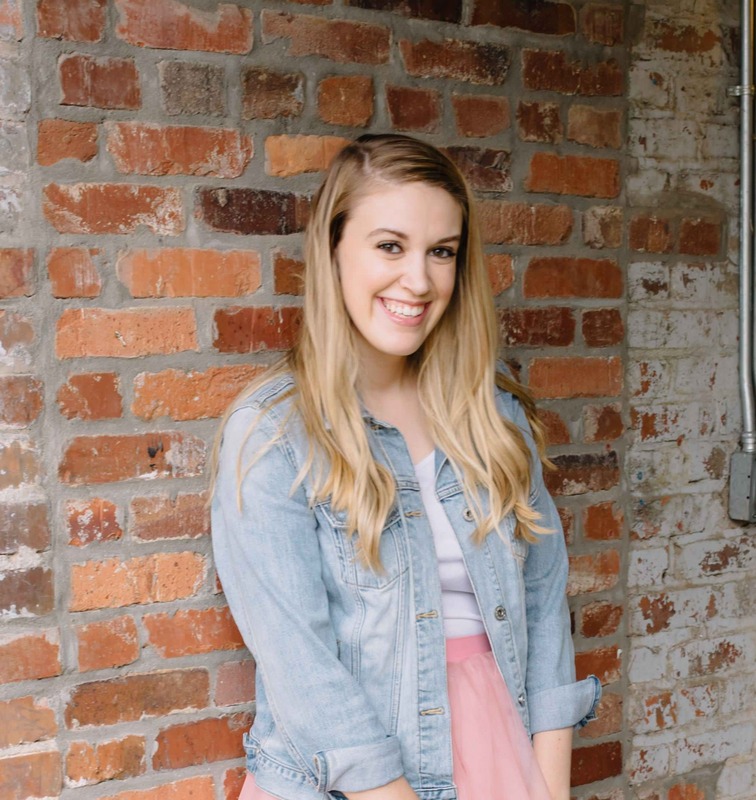 Over the weekend I got the chance to grab coffee with Alisha of the etsy store Lishy Lishy. (The funny part was that it was both of our first times meeting instagram friends in real life!) Not only does she have the cutest etsy store and prints, but she is so sweet! I had so much fun chatting with her and trading insider instagram stories! 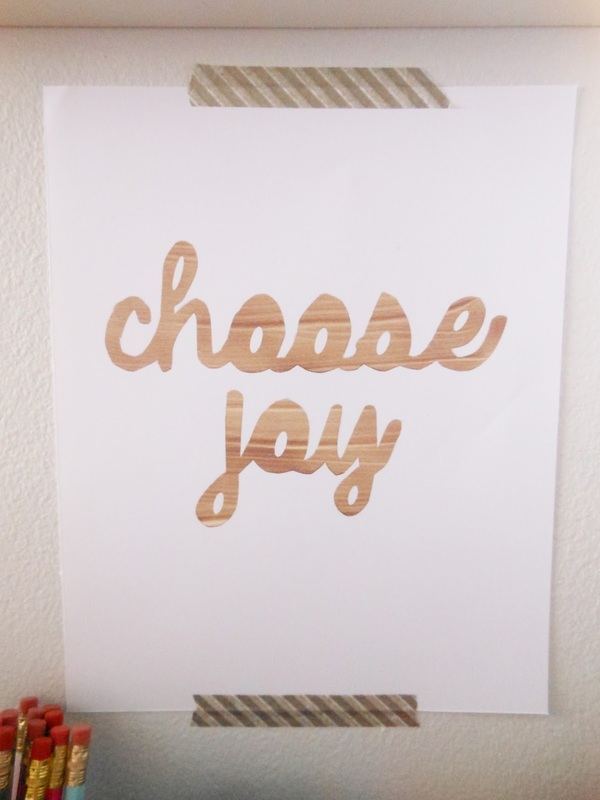 Alisha gifted me the "Choose Joy" print in gold from her shop, and I'm so in love! It definitely goes along with my resolution of being more positive and thankful this year! 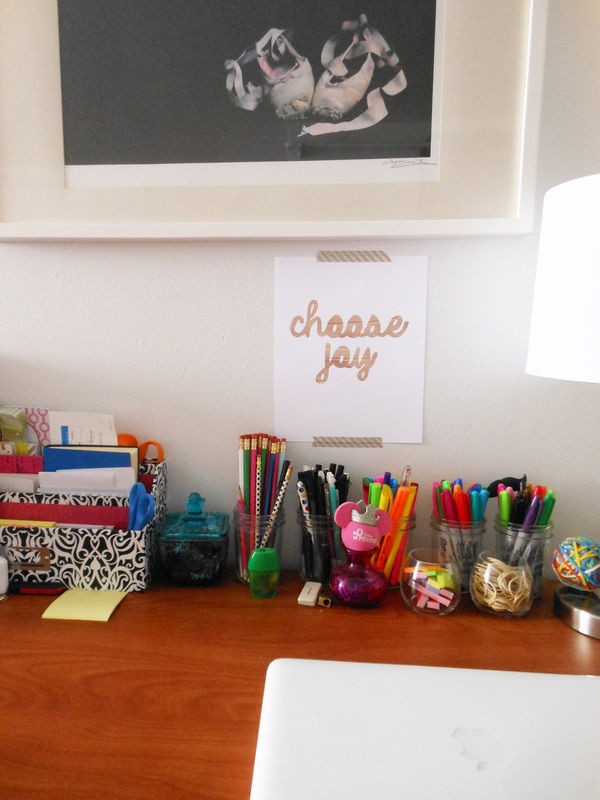 I ended up putting it right above my desk- a place I knew I would see it every day, and a place I could look at when I'm knee deep in homework! Some other favorites of mine (that will definitely be included in my future print gallery wall) are pink cupcake, love heart, and the custom address print! Pick your favorites and snag them for 20% off with the code LOVE20 through February 15! Make sure to stop by Alisha's instagram (so much pretty!) and her etsy shop (and use the code LOVE20 for 20% off)! 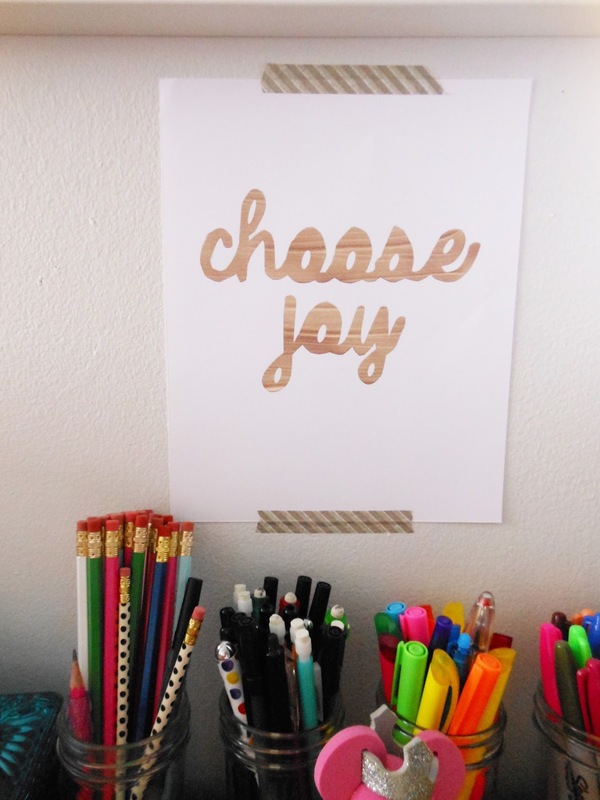 I absolutely love that print, what a great reminder. I'm a new follower to your blog and am loving your posts! I love that print- and happy belated blog birthday, doll! :) Cheers to many more! Love that print! So cute!